Snap Fitness of East Northport Launches “The Big 3 on 3” Basketball Fundraiser. July 24, 2009 - PRLog -- Bring your game to the concrete! Snap Fitness and The Big 3on3 in cooperation with the East Northport Chamber of Commerce, and the Town of Huntington are hosting a unique 3 on 3 basketball fundraiser to benefit the Hero Hunger Help Project. The family and community oriented event is a half court basketball competition which consists of double elimination preliminary rounds to be held on August 22,23,29,30 at local parks in East Northport. In an exciting twist, the finals are to be played at the annual East Northport Festival on September 12 in front of hundreds of spectators. Larkfield road will be blocked off at Pulaski for this exciting streetball event, and courtside seating will be designated for Sponsors. LI’s hottest DJ will be on hand spinning old school vinyl records, and additional entertainment will surround the event. The $1,000 cash prize is up for grabs for teams and players age 15 and up! “Our area has seen nothing like this before” said Benjamin Carey, Chief Marketing and Operations Officer of Snap Fitness. “It will resemble the infamous ‘Ruckers’ streetball tournament held in New York City.” The East Northport Festival draws thousands of people over the course of the weekend and will be a great venue to showcase the event. “Basketball fanatics of all ages love to play outdoors, and this tournament will cap off a great summer and allow them to strut their stuff on the concrete and have a blast” said Carey. “We’ve worked day and night to make this exciting tournament happen in a short amount of time” said Eric Rivkin, from “The Big 3on3”, the organization handling the production end of the event. Eric is a local student who started organizing 3on3 charity tournaments, and was brought on to handle the basketball responsibilities. “Our heart is in the community here, and we started this event to continue to bring families together, encourage wellness, and raise money for an important cause” said Greg Sivin, CEO of Snap Fitness. “Our goal is to raise funds to help the heroes who protect us, our families, and the American freedom.” Sivin opened Snap Fitness last December and quickly gained a reputation for being a community advocate. Alex Leyberman, President of Snap Fitness said “This is a fun family event, for people of all ages!” The event was created around a “half court” game to encourage participation from people ages 15 to 50 and up! Space is limited! For more information or to register, please visit www.snapfitness.com/eastnorthport and click on The Big 3on3 link. 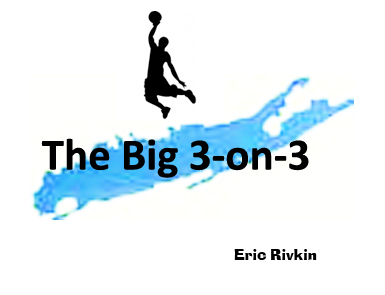 You may also search for The Big 3on3 at Facebook, or contact Snap Fitness President Alex Leyberman at (631) 499-0005. Snap Fitness is a 24 hour Health Club. Families, Singles, Seniors, and Children come together at SNAP in their collective pursuit of Health and Wellness. SNAP has limited membership enrollment, and is a great alternative to the "Big Box" gyms. 24 Hour Health Club expands in Spite of Competition from Bigger Gyms and Fitness Chains. A Gym with No Contracts, No Lines or Waiting, and Affordable? Make It a Snap.